A traveling company of actors in the late 1800s has been traveling the state of Utah from Ogden to St. George. Along the way they heard the story of an amazing man who traveled the world as a Missionary, wrote over 50 hymns, and wrote the very first missionary tract. After conversion, all his adventures, missions, imprisonments, escapes, 12 wives and being a witness to the Guards at Richmond Jail suffering the rebuke by the Prophet Joseph, Parley P. Pratt dies as a martyr to the cause of the Gospel of Jesus Christ, bearing his testimony, as he lay dying, to the man who killed him. This company of actors tells the audience this story, and learn a little in the process about themselves and their craft. This is a funny, sobering, powerful tribute to a great Saint and an undying testimony of the Restored Gospel of Jesus Christ. It is now ready for its first production! This musical chronicles the love story of Joseph Smith and his wife, Emma Hale Smith. Set against the backdrop of hatred and persecution, in an America that was supposed to have freedom of choice as far as religion was concerned, Joseph and Emma struggle, along with the other Saints, to establish a foothold, both personally and publicly, in love and in Faith. The face opposition from without, but the worst of their oppressors are within the Church. A gentle and at the same time dynamic story of White Settlers contracted by the US Government to settle near a Ute Indian Reservation in Southern Utah in 1852. As the two groups learn to work and live together there are trials and almost even disaster. But the young people of the two cultures find a way to bring about peace in what could have been a troubled world. The wisdom in the story comes from the Native American tradition of the wise old tree, and supplication to the spirit of that tree, as well as to the Great Spirit, to solve problems. 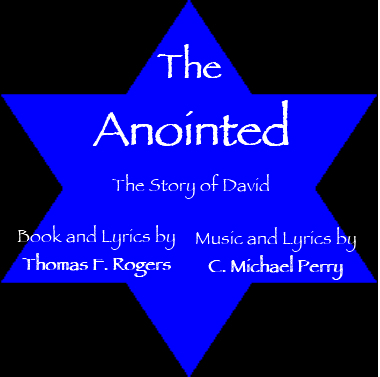 The PERUSAL PAGES file is in PDF format and contains the first half of this musical: WisdomTreePERUSAL No performance rights are granted to anyone with the possession of a Perusal Pages Document, nor are you obligated to a performance run by the possession of the document.